Please read full listing description carefuly before you order to make sure the part does fit your car. 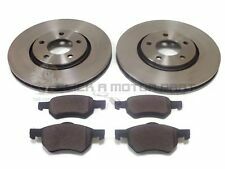 - CHRYSLER GRAND VOYAGER 1995-2000 FRONT 2 BRAKE DISCS AND PADS SET NEW. Please read full listing description carefuly before you order to make sure the part does fit your car. 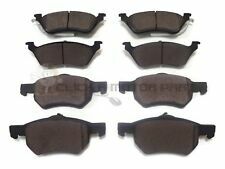 - CHRYSLER GRAND VOYAGER & VOYAGER 2001-2007 FRONT & REAR BRAKE DISC PADS NEW . Please read full listing description carefuly before you order to make sure the part does fit your car. 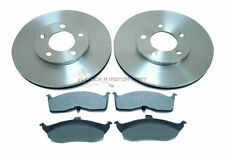 - CHRYSLER PT CRUISER 2.0 & 2.2 CRD FRONT & REAR BRAKE DISC PADS SET NEW. (2) FRONT DISCS SET ( 301mm ). 1) FRONT PADS SET. KIT CONTAINS. Please read full listing description carefuly before you order to make sure the part does fit your car. 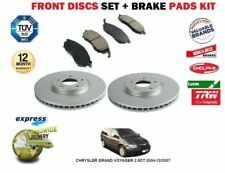 - CHRYSLER VOYAGER 2.4 2.5 2.8 CRD 3.3 01-06 MINTEX FRONT BRAKE DISCS & PADS SET . 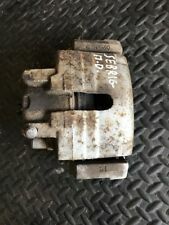 2008 Chrysler 300C 2005 To 2012 SRT-8 6.1 5 Speed Automatic Petrol 5 Door Estate Pair Of Rear Brake Calipers This part was removed from a vehicle with the engine code: LEZX4821X6 All of our mechanical and electrical parts come with a 3 month warranty as standard, this covers the part itself but does not cover any labour charges incurred from fitment or removal of the item. (Terms and Conditions Apply). For extra peace of mind, extended warranties are available upon request at an additional charge. For more information please message us. Please be aware that all our items are removed from right hand drive vehicles unless otherwise stated. If you are unsure if this item will fit your vehicle or if you have any other questions then please call our parts department who will be happy to help. Vehicle Model PT Cruiser 2.0 And 2.2 CRD. Vehicle Make Chrysler. Fitting Position Front & Rear. Most models have multiple options. (2) FRONT BLUEPRINT DISCS SET. 1) FRONT BLUEPRINT PADS SE T. KIT CONTAINS. I specialize in Grand Cherokee so if you need anything else just ask. ALL IN GOOD WORKING ORDER AND CONDITION AS SHOWN. PART NUMBER: 123248. Other Part Number 123248. IT IS BEEN REMOVED FROM CHRYSLER SEBRING 2.7 CONVERTIBLE 2002 YEAR. ONCE AN ITEM IS RECEIVED BACK IT WILL BE QUALITY TESTED ON OUR BENCHES AND CHECKED FOR A MATCH WITH THE ONE SOLD. 2003- 2010 Dodge Ram 2500. Parking Brake Cable. OEM New Chrysler Part No. 52010414AE. 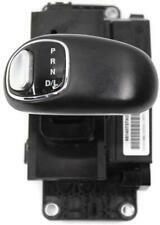 Manufacturer Part Number 52010414AE. IT IS BEEN REMOVED FROM CHRYSLER SEBRING 2.7 CONVERTIBLE 2002 YEAR. ONCE AN ITEM IS RECEIVED BACK IT WILL BE QUALITY TESTED ON OUR BENCHES AND CHECKED FOR A MATCH WITH THE ONE SOLD. (MAKE SURE THE PART NUMBER MATCHES THE ONE YOU NEED). 2007-2009 Dodge Nitro. Gray Driver Seat Switch Cover Bezel. UPC does not apply. Manufacturer Part Number 1PL971DVAA. OEM New Chrysler Part No. 1PL971DVAA. DELTA 2011 -2014 Mk 1. We are the UK's largest specialist breaker of Chrysler Jeep Dodge and Volvo Vehicles. ACD of Lancashire, Chrysler Jeep & Dodge Breakers. Full fitting and Repair Service. Part Details. SEBRING 2001 -2007 Mk 1. We are currently breaking a number of Chrysler Jeep and Dodge Vehicles. ACD of Lancashire, Chrysler Jeep & Dodge Breakers. Check the part number to check compatibility with other models, but should fit the following models. CROSSFIRE 2004 -2009 Mk 1. We are the UK's largest specialist breaker of Chrysler Jeep Dodge and Volvo Vehicles. ACD of Lancashire, Chrysler Jeep & Dodge Breakers. Full fitting and Repair Service. SEBRING 2007 -2010 Mk 2. We are the UK's largest specialist breaker of Chrysler Jeep Dodge and Volvo Vehicles. ACD of Lancashire, Chrysler Jeep & Dodge Breakers. Full fitting and Repair Service. SEBRING 2001 -2007 Mk 1. Check the part number to check compatibility with other models, but should fit the following models Full fitting and Repair Service. We are currently breaking a number of Chrysler Jeep and Dodge Vehicles. SEBRING 2007 -2010 Mk 2. We are the UK's largest specialist breaker of Chrysler Jeep Dodge and Volvo Vehicles. Full fitting and Repair Service. PART NUMBER: 123248. 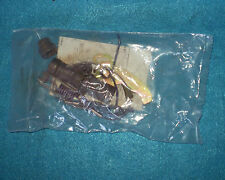 Other Part Number 123248. IT IS BEEN REMOVED FROM CHRYSLER SEBRING 2.7 CONVERTIBLE 2002 YEAR. (MAKE SURE THE PART NUMBER MATCHES THE ONE YOU NEED). ONCE AN ITEM IS RECEIVED BACK IT WILL BE QUALITY TESTED ON OUR BENCHES AND CHECKED FOR A MATCH WITH THE ONE SOLD. This item is in good condition. 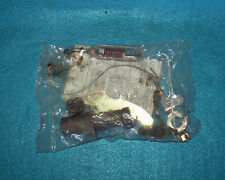 Very nice NOS 1967 Plymouth, Dodge, Chrysler, B-C-Body Brake Booster Repair Kit, an excellent addition to that 1967 B or C-Body! adjust your invoice. 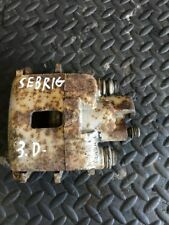 FACTORY OEM USED 2012-2013 CHRYSLER 300 8 SPEED AUTOMATIC GEAR SHIFTER ASSEMBLY MODEL: 300 YEAR: 2012-2013 PART: 68140727AD. IT IS BEEN REMOVED FROM CHRYSLER SEBRING 2.7 CONVERTIBLE 2002 YEAR. ELIN PELIN 2100. 29 LESNOVSKA. AUTOPARTS SERVICE 86 LTD. ONCE AN ITEM IS RECEIVED BACK IT WILL BE QUALITY TESTED ON OUR BENCHES AND CHECKED FOR A MATCH WITH THE ONE SOLD. 1965 1966 1967 1968 1969 1970 1971 1972 1973 1974 1975 1976 1977 1978 1979 1980 1981 1982 1983 1984 1985 Dodge Van Front or Rear Left Brake Adjusting Kit New NORS Car Quest H2576. This is a new part never installed on a vehicle.Made in the USA. 1965 1966 1967 1968 1969 1970 1971 1972 1973 1974 1975 1976 1977 1978 1979 1980 1981 1982 1983 1984 1985 Dodge Van Front or Rear Right Brake Adjusting Kit New NORS Car Quest H2576. This is a new part never installed on a vehicle.Made in the USA. PART NUMBER: 123248. IT IS BEEN REMOVED FROM CHRYSLER SEBRING 2.7 CONVERTIBLE 2002 YEAR. 29 LESNOVSKA. AUTOPARTS SERVICE 86 LTD. ONCE AN ITEM IS RECEIVED BACK IT WILL BE QUALITY TESTED ON OUR BENCHES AND CHECKED FOR A MATCH WITH THE ONE SOLD. PART NUMBER: 123248. IT IS BEEN REMOVED FROM CHRYSLER SEBRING 2.7 CONVERTIBLE 2002 YEAR. ELIN PELIN 2100. 29 LESNOVSKA. AUTOPARTS SERVICE 86 LTD. ONCE AN ITEM IS RECEIVED BACK IT WILL BE QUALITY TESTED ON OUR BENCHES AND CHECKED FOR A MATCH WITH THE ONE SOLD.